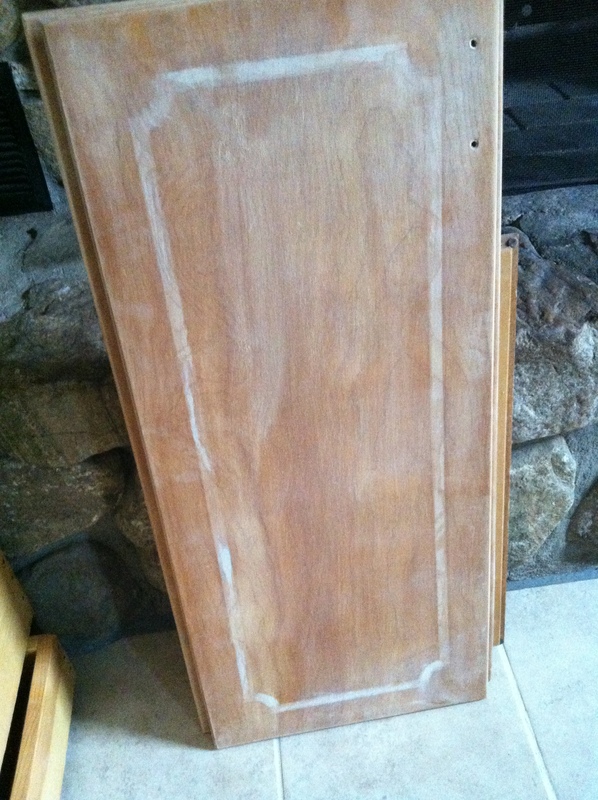 Weekend Update: Sanding and Classic TV | Small, but valuable. ← Front Door: Ta Da! Why not all? Well, we sanded until the sander broke and we ran out of old-school sandpaper. Fortunately, that got us at least 90% of the way through the project. Even in their unfinished state, I like the doors so much more than when they were decked out in their finest 70’s shine. I think that with a few careful coats of white paint, they’re going to be totally transformed. The sad thing is that now that they’re all sanded down, I like the feel of the bare wood. Bare wood cabinets with the outline of an old piece of trim? Hmm. We’ll probably continue with the paint plan. We also passed a different small milestone this weekend. Scott and I have two regularly scheduled programs when it comes to our DVD player–The Cosby Show for me, MacGyver for Scott. I mean, we watch them together, but those are our favorites. And as of this weekend, we’ve finished the first season of both. Oooh, aaah. It made me sad when I realized that at this pace, we’ll finish all 7 seasons of MacGyver around our 15th or 16th wedding anniversary. Maybe we’ll hit a hot streak of DVD time before then and pick up the pace. That goat smile makes me forget all about anything but furry sweethearts. Oh, I know it isn’t a very serious thing, but it sure is cute. The website name doesn’t lie. I know this is a hard job, once you are using brute strength with the sand paper, but, it will be well worth it in the end. After they are painted you will feel a sense of satisfaction whenever you enter the kitchen.